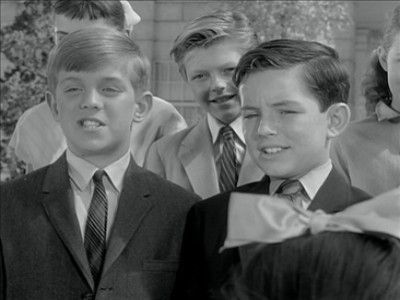 Leave It to Beaver is a 1950s and 1960s family-oriented American television situation comedy about an inquisitive but often naive boy named Theodore "Beaver" Cleaver and his adventures at home, in school, and around his suburban neighborhood. 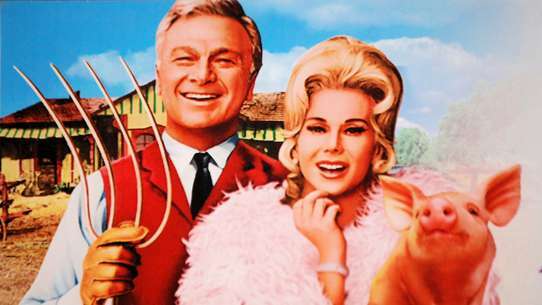 The show has attained an iconic status in the United States, with the Cleavers exemplifying the idealized suburban family of the mid-twentieth century. 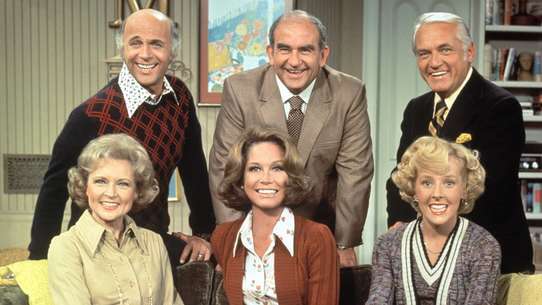 One of the first primetime sitcom series filmed from a child's point-of-view, the show was created by Joe Connelly and Bob Mosher, two radio and early television writers, who found inspiration for the show's characters, plots, and dialogue in the lives, experiences, and conversations of their own children. 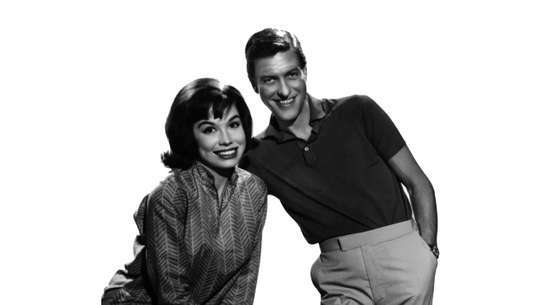 Like several television dramas and sitcoms of the late fifties and early sixties (Lassie and My Three Sons, for example), Leave It to Beaver is a glimpse at middle-class, American boyhood. 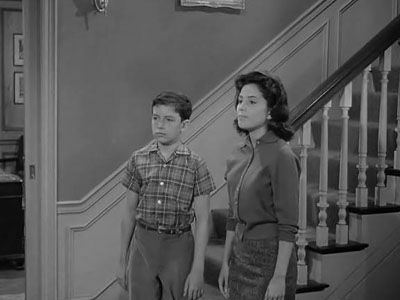 A typical episode features Beaver getting into some sort of trouble and facing his parents for reprimand and correction. Beaver and Gilbert begin a lawn mowing business and plan to go door to door in seach of lawns that need to be mowed. 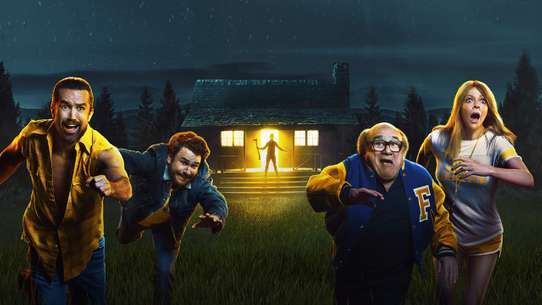 However, shortly after they venture out, Eddie gives the boys some advice that leads them into trouble and Gilbert to bail out of the business when their first client appears. Beaver has been assigned to write a book report on The Three Musketeers. However he's waited right down to the wire to get reading and quickly realizes that he'll never get finished. He decides to watch the movie that's going to be on TV and write his book report based on the movie. 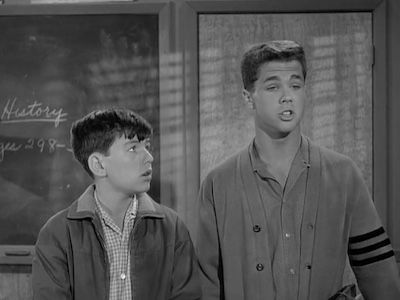 It's come down to the final week before junior high school graduation and Beaver is having a ball and even skips a class with Gilbert. 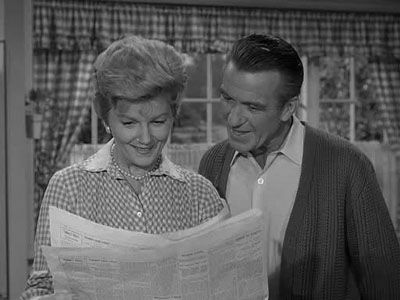 However, Beaver becomes convinced he won't graduate after Gilbert and him take a peek at the diplomas on Mrs. Rayburn's desk and find Beaver's diploma to be missing. Beaver comes home with the news that he applied to appear on a local television show called Teen Forum and he has been accepted. Beaver gets out of classes for the taping and all his classmates are treated to being able to watch him on TV during class. 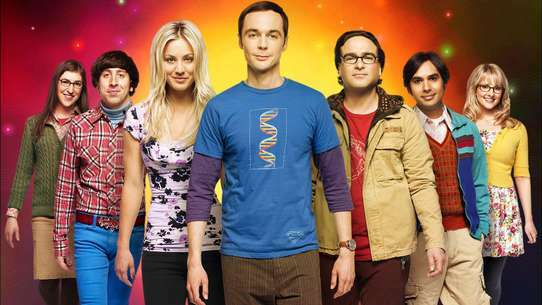 However, what Beaver, his friends and family don't know is that the show tapes each episode a week in advance. 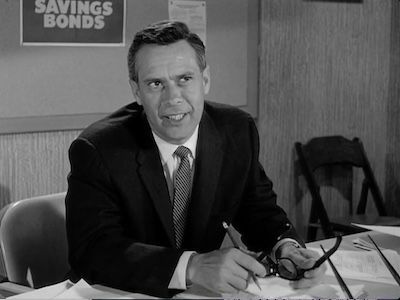 Before leaving on a business trip, Ward asks Wally to look after June and Beaver and Wally does indeed. 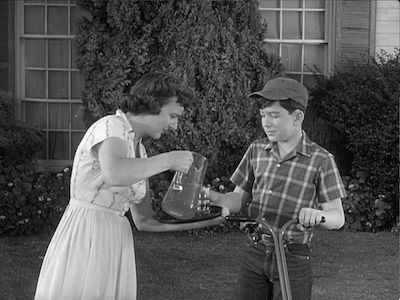 However, when Miss Landers hears Beaver swear at a bully, Beaver turns to Wally to handle the situation and be a ""substitute father."" 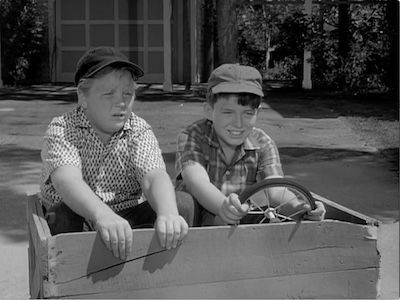 Beaver, Gilbert and Richard find a burro for sale in Mayfield and they each decide to each go in $10 for it. 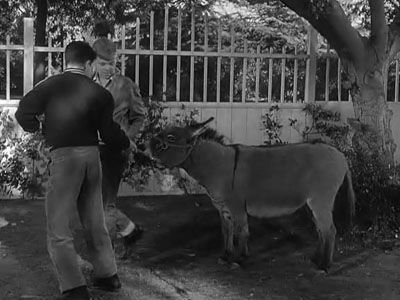 After getting their parent's permission, Richard and Gilbert fight over who gets to keep the burro, which they name Pepe. However, once they get a load of just how destructive a burro can be, they dump the problem of room and board on Beaver. 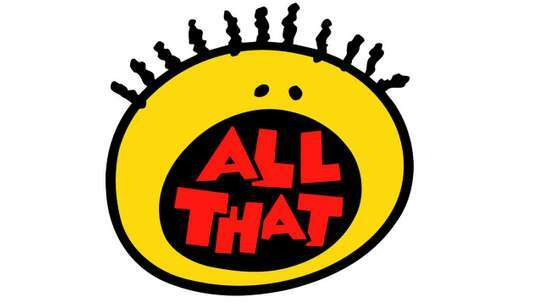 When Wally has a previous engagement and is unable to babysit, Beaver fills in and quickly finds himself the object of a 10-year old's affection. 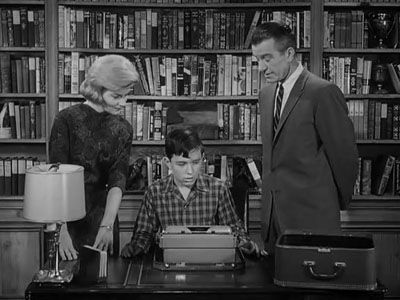 Seeing an ad for typewriters on sale, Beaver talks his parents into letting him get one as long as he learns how to use it. 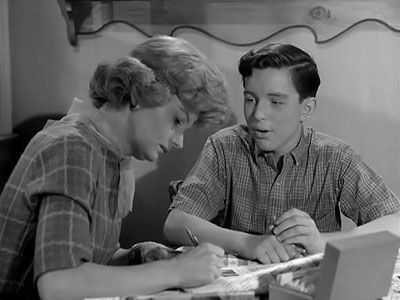 However, Beaver discovers learning to type is not as easy as it looks and soon finds himself making a deal with the shady Eddie Haskell. 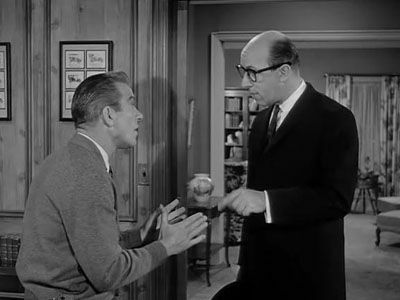 Ward comes down hard on Wally after he comes home two hours late, this fuels June and Ward's suspicions that Wally is contemplating joing the merchant Marines. June had discovered some pamphlets hidden in his dresser drawer. 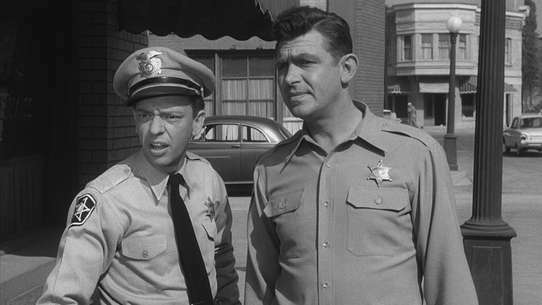 However, little does anyone know, Wally has been getting the information for Lumpy who's seriously thinking of joining. 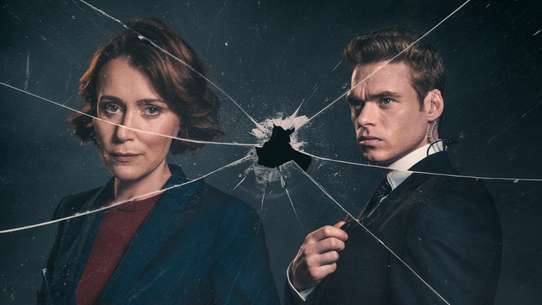 Wally's latest girlfriend is Julie Foster who just happens to be the daughter of a Mr. Foster who teaches English. 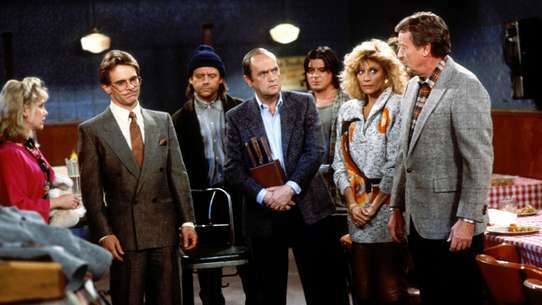 Meanwhile, at school, a new semester lands Wally in Mr. Foster's class and quickly finds himself feeling uncomfortable. Especially after Eddie tells him that his relationship with Julie will determine his grades. 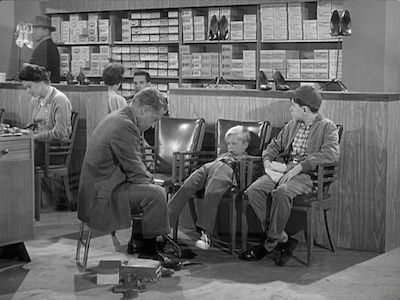 A neighbor gives Wally the responsibility of taking her son, Chuckie, down to the shoe store to pick out a pair of shoes. 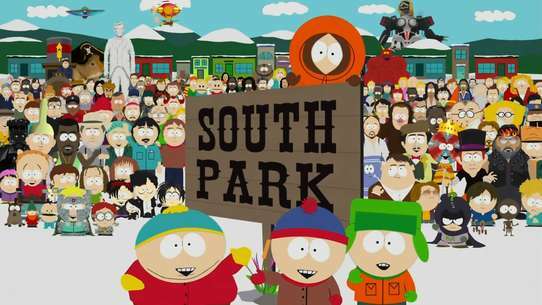 However, when Wally gives the job to Beaver, Beaver finds himself searching for Chuckie, who has gotten himself lost. 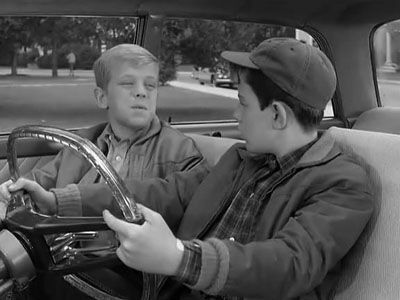 Wally finds himself with his first driving ticket thanks to Beaver and Gilbert's clumsiness. 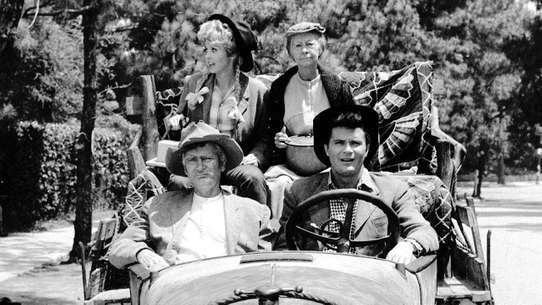 June and Ward go away for a couple of days and leave Uncle Billy to stay with Wally and Beaver. 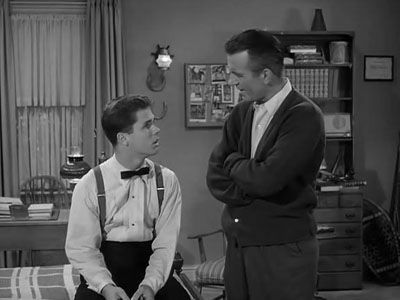 Beaver quickly realizes Billy runs a much looser ship than Ward and June and feels as if he can get away with more things. However, he's soon in for a rude awakening when he helps Gilbert sneak into the movies. Beaver's bragged to all his friends that his parents think he's too old for a babysitter. 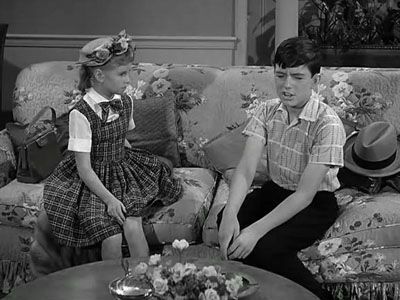 When they go out for an evening, Beaver has to figure out a way to hide Judy, the babysitter beaver's parents changed their minds about. 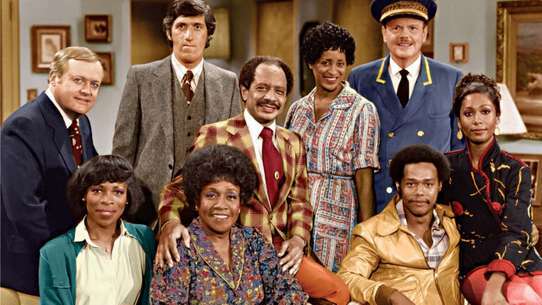 Wally plans on going to a big dance with Evelyn Boothby and they plan on getting there cramped with six other people in Lumpy's car. 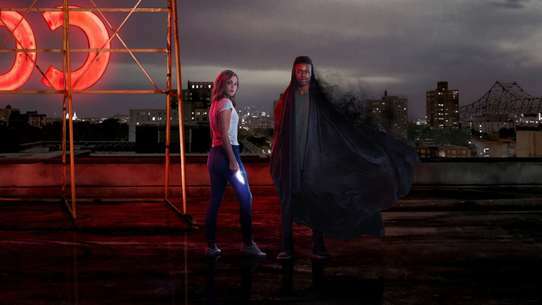 When June and Ward refuse to allow that, Wally and Evelyn must find another way to get there. However, what Evelyn has in mind doesn't go over well with Wally. During one of his football team's games, Beaver is sent in and scores the winning touchdown which results in a picture in the paper. Soon, Beaver finds himself swamped with attention and quickly lets it goes to his head. 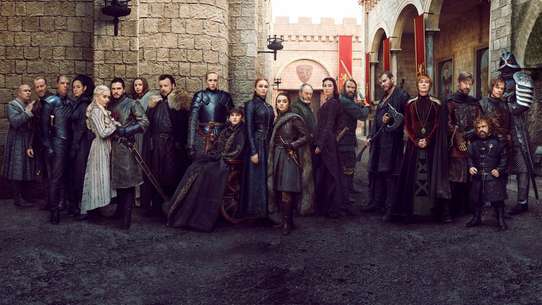 He begins acting like he's better than everyone and begins to alienate Gilbert, Whitey and Wally. 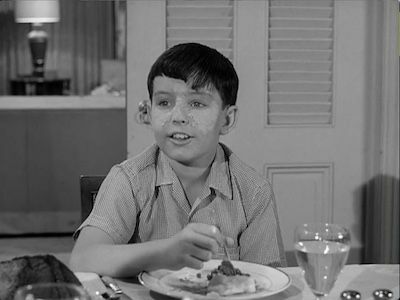 When Clarence gets fed up with Beaver calling him Lumpy, he gives Beaver a new nickname of Freckles. This leads Beaver to become self-concious about his freckles and takes steps to try to remove them. Constantly entering contests, Beaver's latest one has him selling raffle tickets in hopes of winning one of the prizes. Surprisingly, he does indeed win third prize and the prize is a $3,500 sports car. 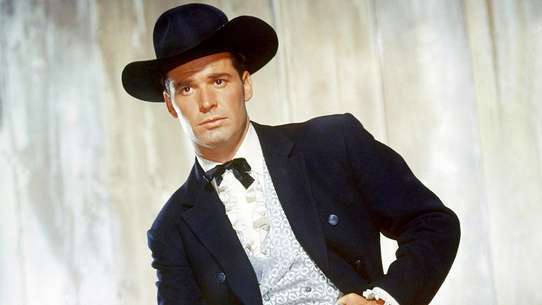 However, his dreams are dashed when Eddie's premonition comes true, Ward breaks the news that Beaver can't keep the car. An old friend of Beaver's spends the weekend at the Cleavers and Beaver is all ready to have a great time like they use to. 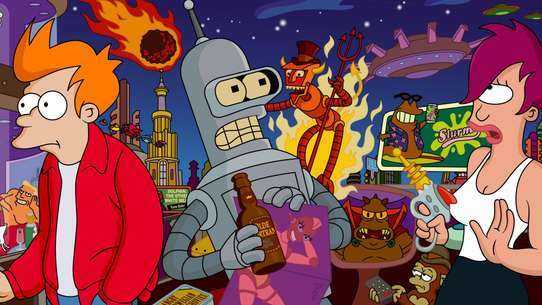 However, Beaver quickly discovers that people change and in this case Beaver's old buddy has indeed changed. 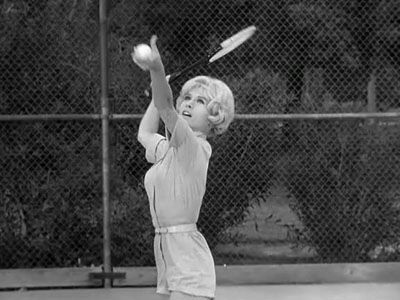 Wally finds himself smack dab in the middle of a lover's quarrel when a woman tries to make her estranged boyfriend jealous by continually making tennis dates with Wally. 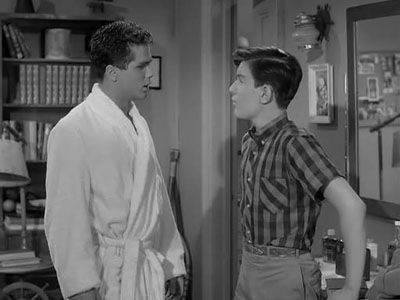 Wally finds himself in an awkward position when the boyfriend threatens him. 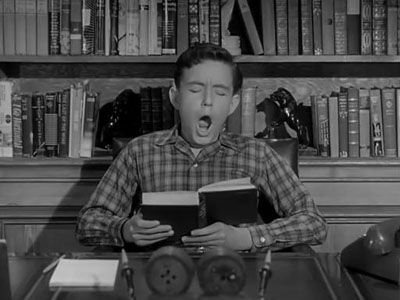 When Beaver becomes sick, the doctor thinks Beaver may need to have his tonsils taken out. 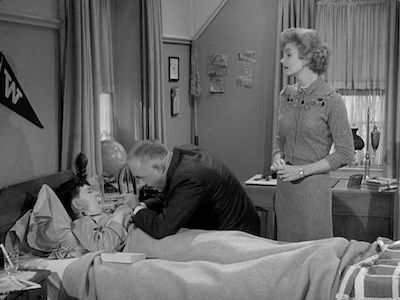 Ward quickly puts Beaver's fears to rest by telling him everyone will bring him presents when they visit him in the hospital. 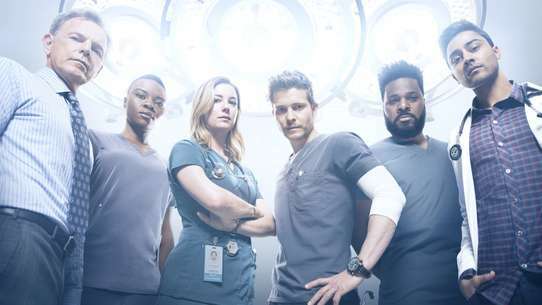 This leads Beaver to tell everyone that he's going to have surgery but then finds out he may not need the operation after all. 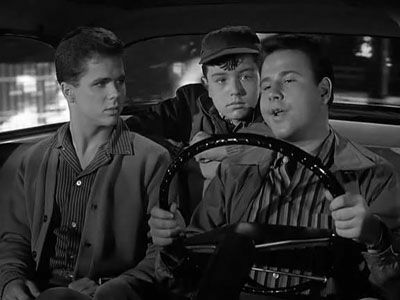 Ward allows his car to be driven by Lumpy who must get Eddie, Wally and Beaver to a sporting event in a neighboring town. 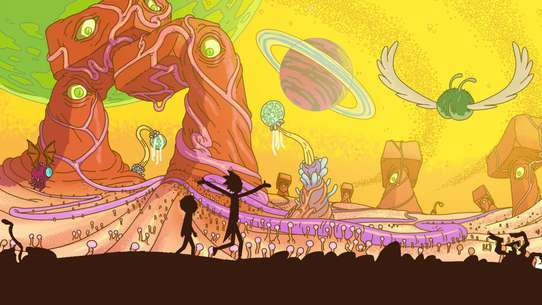 However, on the way back, Lumpy disobeys Ward's orders and takes a shortcut home. 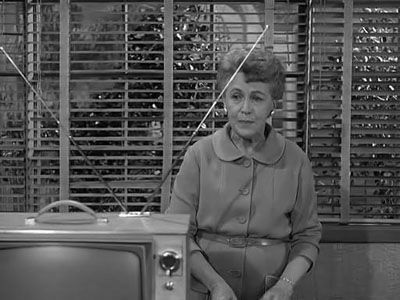 June and Ward are excited when they learn that Aunt Martha has made arrangements to send Beaver to a prep school in New England. However, Beaver quickly realizes he will miss his friends as they are all entering Mayfield High School next year. This puts Beaver in a delicate position, how to tell Aunt Martha he doesn't want to go without hurting her feelings. 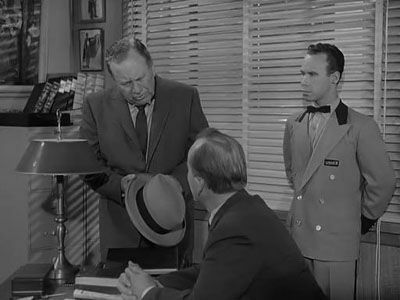 Ward is given two tickets to a baseball game and is faced with an impossible decision: should he take Wally or Beaver? Beaver lets him off the hook when he announces he has plans with Gilbert. 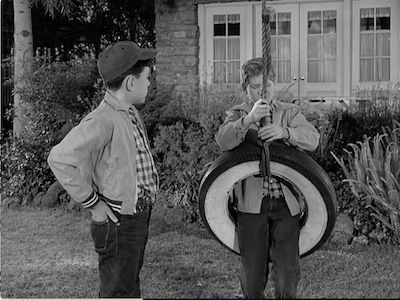 However, when they fall through, Beaver changes his mind about the game and becomes convinced that because he's the youngest he gets the short stick. Beaver's class is having a group picture taken and while having it done, Gilbert goads Beaver into making a face with him when they snap the picture. 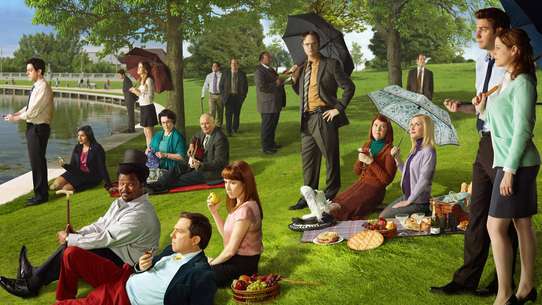 However, when the picture is actually taken, Gilbert backs out and Beaver is the only one making a face.